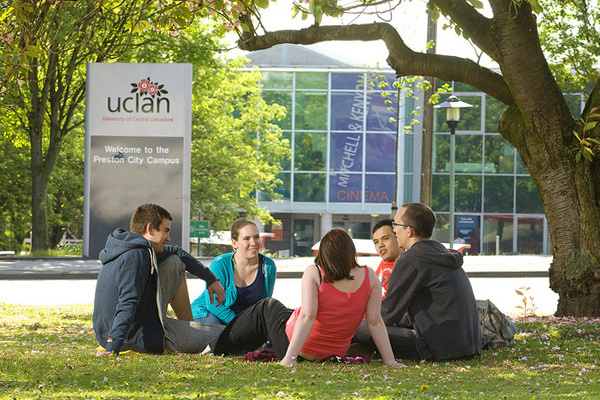 The University of Central Lancashire (UCLAN) was established in 1992 but can trace its history back to the establishment of the fantastically-named Institute for the Diffusion of Knowledge in 1828. It has evolved over the years to become a world-class university involved in cutting-edge innovation; it received the Times Higher Education Award in 2013 for its contributions to tertiary education. Subject Strengths: Business Studies, Management Studies, Pharmacology, Toxicology and Pharmacy, Physical Geography and Environmental Science, Sports Science, and Tourism. At our Burnley Campus, you can take advantage of the fantastic resources that we have to support your study, teaching and learning, sports and recreation. The Campus is very supportive and friendly with small class sizes, and you will receive exceptional academic and personal support. The Campus plays an important part in the overall economic and social development of Pennine Lancashire and you will have opportunities to participate in work placement or volunteering activities with local employers such as British Aerospace, Rolls Royce, Cisco Systems and Aircelle. See below for a list of amenities near our campus. Preston is a thriving urban settlement in the heart of Lancashire, and the main campus mirrors the environmental make-up of its location in that it is a mixture of old and new building structures. Location-wise, students can enjoy being in very close proximity to one of the area's best shopping districts, Friargate, which offers excellent amenities including the usual range of popular high street shops. The university’s Students’ Union also has its own entertainment venue, 53 Degrees, which hosts concerts, comedy and club nights. See below for a list of amenities near our campus. Owned and operated by UCLan, Tŷ’n Dŵr Hall is a listed Victorian house of ‘Tudorbethan’ style, set over seven acres of ancient woodland in the Dee Valley just outside the vibrant Welsh town of Llangollen. Tŷ’n Dŵr has been recognised as a world leader in the outdoor industry delivering the academic elements of UCLan degree courses, as an innovative research hub, group activity weeks and facilitating high-end corporate training. With a full range of adventurous activities on offer, the centre can help you choose the right activities for your goals and that you’ll enjoy the most! See below for a list of amenities near our campus. Located on the Westlakes Science and Technology Park in West Cumbria, the UCLan Westlakes campus is focused on innovative thinking for the real world. Using state-of-the-art facilities Cumbria offer innovative and vocational courses at undergraduate and postgraduate level that meet the needs of the local community whilst maintaining national and international appeal. A combination of academic learning and practical experience ensure UCLan Westlakes graduates are well prepared for the working world. See below for a list of amenities near our campus.